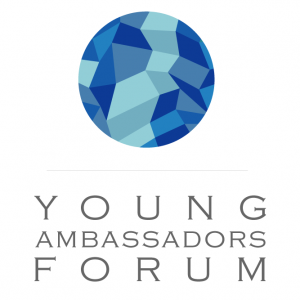 Young Ambassadors Forum is a context conducive to discussions and debates related to global issues. It has the format of a conference within which you, together with other 30 students from around the world, will debate your role in the new global pattern, bringing into discussion problems deeply rooted in the incapacity of the existing decisional structures to solve or at least alleviate them. YAF will thus create a context in which the recommendations of the UNSCR 2250 can be actively applied, in conjunction with the 2030 Agenda and its 16th Sustainable Development Goal – Peace, Justice and Strong Institutions. In addition, the 8th Objective of the EU Youth Strategy – Youth & the world – and the Europe 2020 Strategy – Youth on the move – are also the basis of our work. OUR VISION is to transform the aspiring students into inspiring leaders, who participate integrally in developing new structures for our society, with a view to entrenching democratic governance, finding innovative solutions to global challenges and fostering a culture based on peace and respect towards diversity.